Smallmouth bass (Micropterus dolomieu) and chain pickerel (Esox niger) are species of fish which are non-native to Nova Scotia. Over the past decade both these non-native species have become established throughout a large portion of the LaHave River watershed. This illegal introduction has exposed native fish species to two highly predatory species as well as increased levels of competition for food and habitat. Coastal Action initiated the LaHave River Invasive Species Project (LRISP) in 2017 to determine if Atlantic salmon smolt are being preyed upon by chain pickerel and smallmouth bass as they migrate to the ocean during early spring. Research takes place from April to September and involves analysing stomach contents of fish captured via scientific angling and electrofishing. 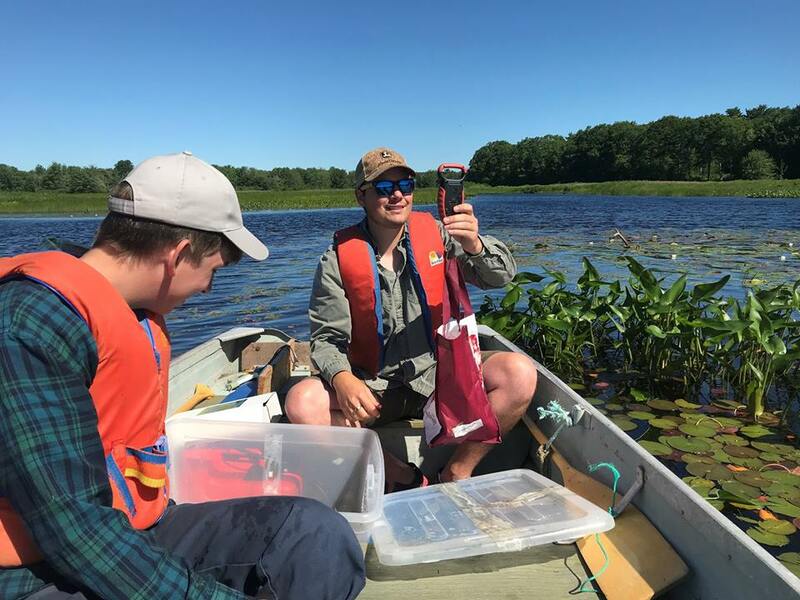 Chain pickerel and smallmouth bass were also tagged in 2018 as part of a current mark and recapture study to determine population estimates of chain pickerel and smallmouth bass in Wentzells lake. Atlantic salmon smolt found in the stomach of a chain pickerel and smallmouth bass captured in Wentzells Lake in 2017.